If you have a Citi card — or are considering applying for one — and are also looking for ways to maximize the benefits, you may want to consider signing up for the Citi® Price Rewind program. Simply put, it’s a program that helps you find the lowest price on purchases made with your Citi card by doing a 60-day search for a lower price on what you bought. If one is found, you may get the price difference, depending on what you buy. Terms and certain restrictions may apply. In this guide, we’ll highlight the benefits you get from joining Citi® Price Rewind. We’ll explain exactly how you can save money and take advantage of other benefits offered by Citi. And we’ll share information on eight Citi-branded cards and two others with similar benefits that will help you make the best choice. What is Citi® Price Rewind? Does Citi offer Price Rewind on travel cards? Can I find this card benefit with other issuers? Learn more: Which price protection card is right for you? Is there an offer for bonus points for new card members? How many days do I have to submit a claim? What items are not covered under price protection? How easy is it to file a claim? What other perks does the card offer? Does the card fit my lifestyle? For those of you who are bargain hunters but may not want to do the legwork involved in getting the best prices on your purchases, the free Citi® Price Rewind program may be just what the doctor ordered. You don’t have to sign up for Citi® Price Rewind. Log on to your Citi account, then go to the Citi® Price Rewind database. Search for your eligible item, select it, enter the purchase details and upload a receipt to start the rewind search. If you don’t see your item in the database or find a lower published price on your own, submit your Citi® Price Rewind benefit claim online, via mail or by calling 1-866-918-4670. Non-Citi branded consumer credit cards, debit cards and business credit cards aren’t eligible for Price Rewind. After you buy something, the program searches hundreds of online merchants for a lower price on the registered items you pay for with your Citi card. If the same item is found online at a lower price within 60 calendar days of your purchase, you may receive the difference in price. You can also find a lower price online or at an in-store advertisement, and submit a benefit request form for the price difference. Both in-store and online purchases are eligible. Citi® Price Rewind does not search offline/in-store prices; it only tracks online prices, and doesn’t guarantee that it tracks all online merchants or that it will always find the lowest published price. It all starts when you buy an item. You have up to 180 days from the date of purchase to initiate a benefit request. After a purchase, save the receipt and log into the Citi® Price Rewind website. Select your item, enter the purchase details and upload a receipt to start a search. The lower-priced item must be the same as the one you bought. The lower price must be published at an online retail site or printed in an online newspaper, magazine, store circular or catalog, including special promotions such as Black Friday or doorbuster sales. Lastly, the price comparison must be based only on the sale price, not including taxes, shipping and handling, delivery costs, warranties or any other charges. If Price Rewind finds one within 60 days of purchase, you’ll be notified via email. If you find a lower price on your own after starting a price rewind, you can add this information to your Price Rewind account and submit your benefit request. In case you don’t see your exact item in the database or if you find a lower published price on your own within 60 days of purchase date, submit your Citi® Price Rewind benefit request online, via mail or call 1-866-918-4670. You’ll have the option of getting your price-difference refund as a check mailed to your address or as a credit on your account statement after the benefit request is approved. Items not eligible for rewind include boats, cars, aircraft, or any other motorized land, air or water vehicles and their original equipment; food, beverages, fuel or medications; jewelry; tickets such as airlines, sporting events, concerts or lottery; collectable items such as antiques, coins, art, sports memorabilia or stamps; items purchased for resale use; plants or animals; and advice or services for a purchased item, such as product installation, labor, maintenance or repair. The fine print: The program only covers a price difference up to $200 per item, and you can only get a total refund of up to $1,000 per calendar year. But there’s no limit on how many submissions you can make. Citi has eight travel-related cards that you can use with Citi® Price Rewind for all items allowed under the program aside from airline tickets. Here’s a look at the benefits for each card. (75) Over the Past 60 Days! This card has an annual fee of $99, waived for first 12 months*. New members can Earn 50,000 American Airlines AAdvantage® bonus miles after $2,500 in purchases within the first 3 months of account opening*. Cardmembers Earn 2 AAdvantage® miles for every $1 spent at gas stations, restaurants, and on eligible American Airlines purchases*, some of which may be eligible for Price Rewind. The card also allows you to save up to 7,500 miles on round-trip MileSAAver awards in all classes based on distance traveled. After choosing your destination, you can call American Airlines reservations or go to a ticket office to book your award. Enjoy other perks such as a free checked bag, priority boarding on domestic flights, no foreign transaction fees and 25% savings on eligible in-flight food and beverage purchases when you use your card on American Airlines flights. 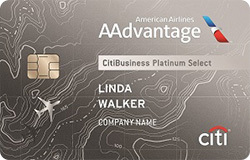 The annual fee is higher for the Citi® / AAdvantage® Executive World Elite™ Mastercard® at $450. But the perks that come with this card may make it worth considering. New card members can Earn 50,000 American Airlines AAdvantage® bonus miles after spending $5,000 in purchases within the first 3 months of account opening*. 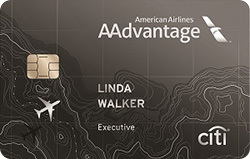 A big benefit of this card is that it helps you earn elite qualifying miles that help you maintain your premium status on American Airlines. Earn 2 AAdvantage® miles for every $1 spent on eligible American Airlines purchases & 1 AAdvantage® for every $1 spent on other purchases*. All miles earned can be redeemed on the oneworld alliance carriers and other partner airlines. And again, Price Rewind can be used on items outside of airline tickets. If you travel regularly, getting a free checked bag can save you hundreds of dollars a year by not paying the $25 fee for each flight segment. And this deal is good not only for the cardholder, but also for up to eight companions traveling on the same reservation with you. The card also offers you priority check-in, priority airport screening (where available) and priority boarding privileges for you and up to eight companions traveling on the same reservation. You get a $100 credit for Global Entry or TSA PreCheck enrollment fee, a dedicated concierge for help with foreign and domestic travel, shopping, dining, household and entertainment needs, and you don’t pay foreign transaction fees. Don’t discount the free Admirals Club lounge membership for you and your immediate family. Considering that club membership costs $550 a year for an individual and $875 a year for a family, this benefit can more than help justify the card’s high yearly fee if you travel regularly. Finally, you can add up to 10 authorized users at no additional cost. This card has an annual fee of $99, waived for first 12 months*, which puts it in the same range as the Citi® / AAdvantage® Platinum Select® World Elite™ Mastercard®. New cardmember can For a limited time: Earn 70,000 American Airlines AAdvantage® bonus miles after making $4,000 in purchases in first 4 months of account opening*. Like the Citi® / AAdvantage® Platinum Select® World Elite™ Mastercard®, the CitiBusiness®/ AAdvantage® Platinum Select® World Mastercard® offers a free checked bag. However, priority boarding is only allowed for up to four traveling companions on the same reservation. You also earn two AAdvantage miles for every $1 spent on American Airlines purchases and one point for every $1 spent on other purchases. You have access to MileSAAver awards in all classes based on distance traveled and you get a 25% discount on eligible in-flight food and beverage purchases when using your card on American Airlines flights. 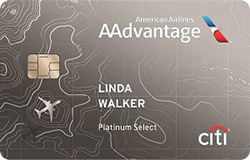 What this card offers that the Citi® / AAdvantage® Platinum Select® World Elite™ Mastercard® doesn’t is a $99 domestic economy fare American Airlines companion certificate if you spend $30,000 or more in eligible purchases during a card membership year and the account remains open for at least 45 days after the anniversary date. You also get worldwide travel accident insurance, car rental insurance and travel and emergency assistance. This card has a $0* annual fee. The sign-up bonus allows new cardmembers to Earn 15,000 Expedia+ bonus points after $1,000 in purchases within 3 months of account opening*. You earn 3 Expedia+ bonus points per $1 spent on eligible Expedia purchases, 1 Expedia+ point per $1 on all other purchases, including flights, hotels, activities and travel packages. You receive automatic silver status with the card. There’s no limit to the number of bonus points you can earn, and points won’t expire as long as you earn or redeem points every 18 months. You get to use Citi® Private Pass®, which offers special access to buy tickets to thousands of events annually, including presale tickets and VIP packages to concerts, sporting events, dining experiences, plus complimentary movie screenings and more, via citiprivatepass.com. You also get help with Citi® Concierge, a staff of specially-trained experts who help you with travel, shopping, dining, entertainment and everyday needs. This card, with its $95 annual fee, allows new cardmembers to Earn 25,000 Expedia+ Bonus Points after meeting purchase requirements*. You earn 4 Expedia+ bonus points per dollar on Expedia, 2 Expedia+ bonus points per dollar on dining and entertainment, 1 Expedia+ bonus point on other purchases on eligible Expedia purchases including flights, hotels, activities and travel packages. This card gives you a $100 annual air travel fee credit that can be used toward airline incidentals on qualified airlines, Wi-Fi carriers or for either the Global Entry or TSA PreCheck application fee. You also get Expedia+ gold status, along with access to Citi Private Pass and Citi Concierge. 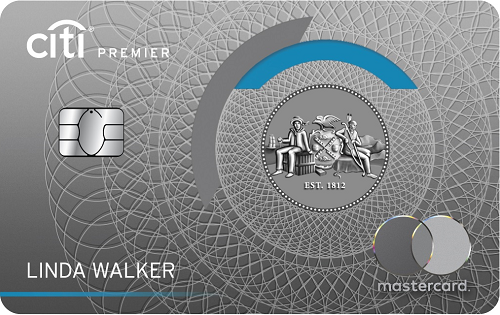 This card starts with an annual fee of $95, waived for first 12 months. New card members can Earn 50,000 bonus ThankYou® Points after you spend $4,000 in purchases within the first 3 months of account opening. The bonus points can be redeemed for $625 in airfare on any airline, anytime with no blackout dates when booked through the ThankYou® Travel Center website, or for $500 in gift cards redeemed via the ThankYou® Rewards collection. And get a 25% points bonus when you book airfare through the travel center website. You Earn 3X Points on Travel, Including Gas Stations, Earn 2X Points on Dining Out & Entertainment, Earn 1X Points on All Other Purchases. The foreign transaction fee is 0%, your points don’t expiration and there’s no limit on how many points you can earn. If you belong to airline loyalty programs including JetBlue’s TrueBlue, the Virgin Atlantic Flying Club and Singapore Airlines’ KrisFlyer, you can transfer your Thank You points to these airlines to boost your bank of miles. Other perks include access to Citi Private Pass, Citi Concierge and the ability to add an authorized user. Citi is not the only game in town. Below, we review products from Capital One and Discover for other cards that offer similar benefits to the Citi® Price Rewind program. Discover cardmembers will have access to the Price Protection program until Oct. 18, 2018. You can get a refund of the difference between what you paid for an item and a lower price for it, up to $500 on eligible items, within 90 days of purchase no matter which Discover it® card you have, which is 30 days more than competing cards. The reimbursement limit is $2,500 a year per account. Coverage is limited to three identical items and doesn’t include the cost of taxes, shipping or handling. Eligible items include most purchases with the exception of services, used items, jewelry and gift cards. Claims can’t be submitted for purchases using employee discounts or going-out-of-business sales. 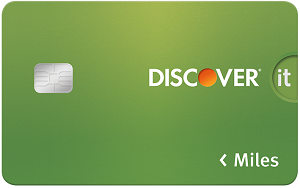 For all of the details, be sure to log in to your Discover it® card account and view the complete terms and conditions of this policy. The Capital One price protection program reimburses you the difference in price on eligible items should you find a lower price for the same item within 60 days from the date of purchase when you pay with your credit card. The product must be for the identical item, and an advertisement must verify same manufacturer and model number. To get coverage, you must buy the new item with your covered card and/or accumulated points from your covered card. Coverage is limited to up to $250 per claim, with a maximum of four claims per cardholder per year. Items paid for by an online or live auction are not eligible for price protection. Other items not covered include things bought for resale, rental, professional, or commercial use, jewelry, art, used or antique items, collectibles, recycled, items previously owned, customized/personalized, one-of-a-kind, or special-order items, things on layaway and anything returned to any store. Also excluded are professional services, plants, shrubs, animals, pets, consumables, perishables, motorized vehicles, traveler’s checks, tickets of any kind (e.g., for airlines, sporting events, concerts or lottery), negotiable instruments, bullion, rare or precious metals, stamps, and coins, currency or its equivalent. The good news is this card comes with a low $39 annual fee. The bad news is that it doesn’t offer introductory point bonuses for new card members. But the card does offer 1.5% Cash Back on every purchase, every day in combination with a price protection program. Other benefits include fraud protection, rewards that don’t expire as long as the account is open and you can redeem cash back for any amount. 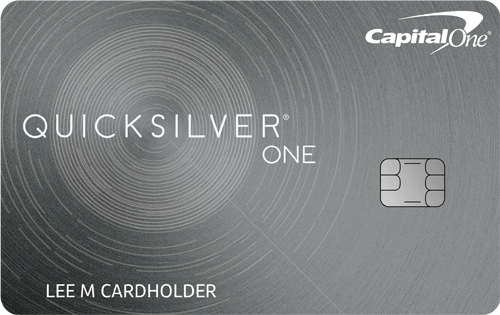 This card has a $0 annual fee and like the Capital One® QuicksilverOne® Cash Rewards Credit Card credit card, it doesn’t offer any introductory mile bonuses. But Discover it® Miles. Along with price protection, you earn Unlimited 1.5x Miles per dollar on all purchases, every day on everything, including airfare, hotels, groceries and online shopping. Once you book your travel with the card, you can redeem miles as a statement credit toward its purchase. There are no blackout dates, you can fly any airline at any time and your rewards never expire. You can redeem your miles for cash as an electronic deposit to your bank account or for a credit for travel you bought on your statement made within in last 180 days. Travel includes airline tickets, hotel rooms, car rentals, travel agents, online travel sites and commuter transportation. You won’t lose your miles, even if your account closes, and they never expire. So now that you know about your card options when it comes to price protection, you can now make a choice. But ask yourself these key questions before deciding which card will work best for you. There is no fee for price protection programs. But the annual fees attached to these cards range from $0 to $450. Some do and some don’t. But for those that do, make sure you balance the amount you need to spend with the bonus miles you receive. 60 days for Citi® Price Rewind and Capital One price protection; 90 days for Discover price protection. Each card has its own list, but all three include things such as airline tickets, motorized transportation and jewelry and collectibles, to name a few. And of course, sale items are also excluded. Upload your item to a website or mail it in to initiate a search. The card company will contact you if a claim is approved. It will then either credit your account or mail a check, depending on the card. That depends on the card. Perks include cash back on card spending, earning unlimited points/miles, free checked bags, priority boarding, airline lounge access, dedicated customer service agents, in-flight discounts and special access to buy event tickets and experiences. If you use your card to shop a lot, both in stores and online, then having price protection could be a good benefit to have. Instead of doing your own searches, these programs do the work for you. If you’re not much of a shopper, then you might want to consider other cards, such as ones that give cash back for purchases.